Yellow APC have more torque! Give it flames for more firepower & paint it yellow with black stripes making it a transformer. We are soooo close to the APC! I just cannot wait! What have they done to you, you poor, poor, beautiful APC? You don't have that lovely *boom boom boom boom* cannon anymore, just some tank-like thing. And you can't use it solo. Wait, so it's crew operated? You just saved me some money. You can't use it solo for shooting? Damn. Well, that's 3 mil saved! I could live with the change of the cannon, BUT WHY THE f*ck IT'S CREW OPERATED!!!??? Even the cannon is taking the p*ss a bit - I mean, it's just like the tank's cannon. That's lame. But now you can't even use it unless you get in the passenger's seat, stop the APC, etc. Which is useless in any meaningful PvP. The Rhino lets you aim solo, and so does the original (superior) APC - this is just a real downer. I like the fact it is crew operated. Basically it is an Insurgent Pickup PV. Crew operated cannon = FAIL!!! This update is looking more lame by the minute. 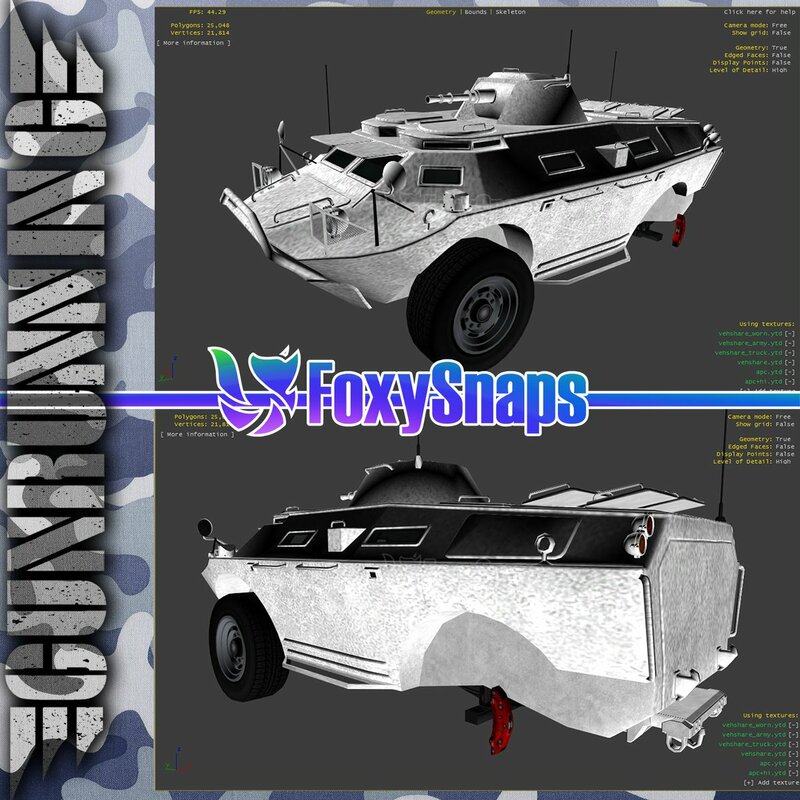 Was already extremely dissapointed the bunker cant even store any of the new vehicles, now a semi useless APC. It seems the dripfed cars are the best part. How come you can't lock on to aircraft with the SAM? crew operated?........ CREW OPERATED? WHAT THE HELL? Why couldn't they just copy-paste how the APC from TBoGT worked? They had 1 job, and 1 job only and well... THEY f*ckED UP. Soooo.......... just another Insurgent with an HE cannon... lame. I like how its a 4 seater and the two rear seats have MGs in them. Really cool. Oh, you can also enter the other seats by holding the enter vehicle button/key. R* sure does listen to there fans huh? Its funny the Tampa can be used solo but not the APC. How f*cking stupid. R* is so incompetent. 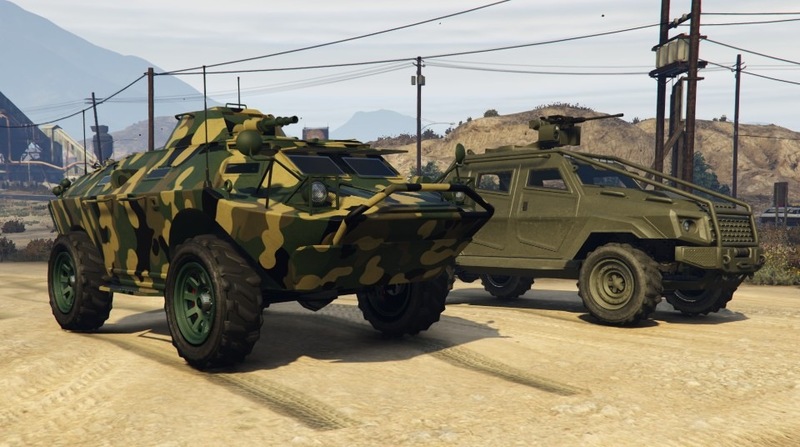 Here is my APC,along with my Insurgent.It would be cool if it could shoot while driving,and if it was a Pegasus vehicle instead of a personal vehicle (so that it wouldn't take up garage space),but it's still a cool vehicle. wow that's terrible and I was looking forward to getting that. thanks for the money saver. can anybody say that it will be an anti jet grief defense or something you can use in free roam to defend yourself with or just another dud. What is the armor on this thing ? 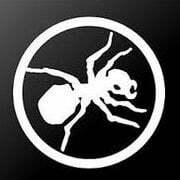 Any clue on where to get it again when its destroyed? As in it was in my CEO Garage however after getting destroyed it dissapeared. Not terrible. It has withstood 3 times ramming gas stations, but I have not tested the rpg on it yet. The stock one I had is about tank-strength. Not sure if you get to upgrade the armour or not. A concentrated jet pass takes out the stock one at any rate. Vehicle is great. Went bombing around in it earlier. The SAM upgrade was the second research upgrade I unlocked but... you can't lock onto aircraft or other vehicles with it. It fires around 86 rockets or 12 salvos of 6 rockets before it goes empty.